The Queensland Department of Health has said that patients data loss issues raised by regional medical association have been resolved three years ago. According to an ABC report, the Australian Medical Association of Queensland (AMAQ) has requested the halt of the $600 million IT upgrade across Queensland state hospitals after patient data has allegedly gone missing. In a statement sent to ARN, AMAQ said is supportive of digitising state’s public hospital and health services. "However, we have voiced concerns about the roll-out of Queensland Health’s Integrated Electronic Medical Record (ieMR) across public hospitals. These concerns have been reported to us by doctors working in the public health system," AMAQ said. In a letter seen by ABC, AMAQ urged the halt of the integrated electronic medical record (ieMR) being carried out by US-headquartered Cerner, who was awarded the multi-million dollar contract. However, according to the response letter issued by the Queensland Department of Health to AMAQ, the missing data issue was raised and resolved three years ago. "It was as a result of a table that was incorrectly marked for periodic purging. This table is no longer marked for purging and to our knowledge this issue has not reoccurred," the letter states. "Data has allegedly gone missing from the appointment platform and AMAQ was unable to fully investigate if other data have been lost from SurgiNet and PowerChat. 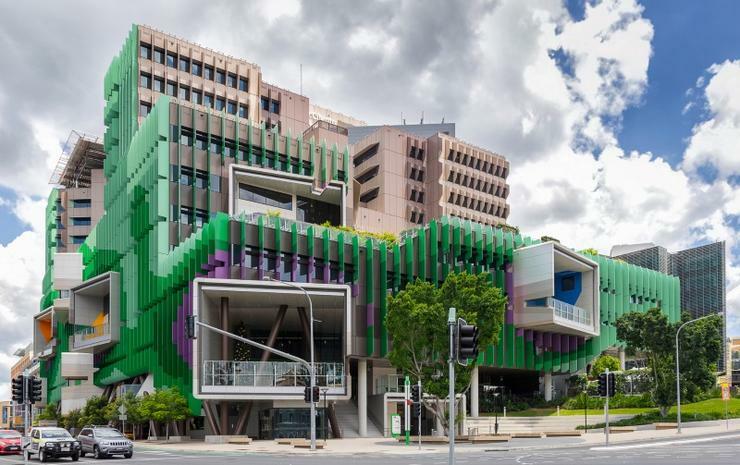 SurgiNet is being deployed at the Lady Cilento Children’s Hospital to replace the iSoft operating room information systems and paper charts. "To this, Queensland Health said all data committed to a patient’s file remains in the" file for life". "All data is stored in the same database structure and run and maintained as one production integrated system. There are no separate databases." In June, a PwC study of ieMR benefits showed $181.9 million financial and economic benefits have been achieved across patient quality and safety, operational service improvement and direct financial savings at the Princess Alexandra, Mackay Base, Cairns, Townsville and Queensland Children's Hospitals. Queensland Health expects to deliver an ieMR with advanced capability to 27 hospitals by June 2020. However, flaws in the systems have resulted in patients being given multiple doses of drugs by mistake according to the ABC. "The AMA Queensland e-health working group has raised these concerns with Queensland Health as they have arisen over the past 12 months, most recently during a discussion about the ieMR system," AMAQ said. AMAQ is concerned that ieMR is placing extra strain on an already overloaded IT framework, potentially impacting the delivery of health services and patient safety. "AMA Queensland has recommended Queensland Health pause the roll-out of ieMR to allow for doctors’ concerns around productivity and patient care to be resolved." A Queensland Health spokesperson said that the ieMR roll out has been a success according to an independent research of more than 2,000 hospital staff. "Since the ieMR was first rolled out, it has reduced the average length of stay, unplanned readmissions, and the number of serious falls and pressure injuries for Queensland Health patients. There has also been a notable reduction in medication errors," the spokesperson said. Queensland Health also said it is continuing to work with AMAQ to provide the latest information on the ieMR operability and roll-out, and to address any concerns. "During the latest meeting on Monday 25 March, concerns raised by the AMAQ were either noted as resolved, required further clarification, or assurances/feedback was provided regarding the claims," the Queensland Health spokesperson continued. "Queensland Health remains committed to a digital health agenda that aims to deliver an ieMR across its facilities – one patient, one digital record." They added that the Queensland Health is confident that patient safety and care has not been compromised. According to the ABC, 40 safety alerts were generated regarding issues with ieMR, which Queensland Health explained that it does not mean that patient harm has been or will be caused. "They’re [safety alerts] used to inform hospitals of planned system maintenance, and identify any issues that need risk assessment at the local level to determine appropriate actions. "This is an established effective way of rapidly communicating important patient safety information to Hospital and Health Services (HHSs) to enable them to rapidly mitigate risk," the spokesperson explained. In February, the Brisbane Times reported that doctors had warned software flaws in the ieMR were putting patients at risk. According to the report, issues ranged from blood tests labelled with the wrong patient data to cervical screening tests going missing. "In documents obtained or seen by the Brisbane Times, the issues have been highlighted by clinicians who are concerned software flaws are putting patients at risk and are distressed by the pressure placed on hospitals and staff by eHealth Queensland to accept the integrated electronic medical record," the Brisbane Times reported. The ieMR has also suffered major cost blow-outs, and is estimated to cost $1.2 billion until 2025, Computerworld reported. A Queensland Audit Office report in December recommended the Department of Health and eHealth Queensland get a better handle on “the actual cost” of implementation. Updated to include comments from Australian Medical Association Queensland (AMAQ).